You may begin to get to a boiling point, get mad, throw a fit, threaten, just give in and take care of it yourself, or complain about all that you do for everyone in the house. What you’ll likely find is that when you reach your boiling point and react (or just take care of it yourself while silently resenting your family members), others may for a short period of time take notice. Heck, you may even get your teen (or husband) to listen and pick-up their underwear off of the bedroom floor if you yell loudly enough, AND…. We know that children model their parent’s behaviors, so the last thing you want to teach your child is that ignoring and then overreaching is a healthy way to communicate. The best way to teach your child to listen, respect your requests, and to communicate in healthy way is to learn how to communicate your wants and needs in a healthy manner first. 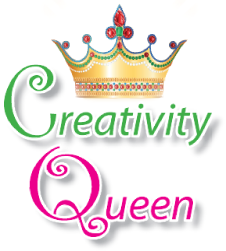 You can use creativity to get back into you parenting authority, and here’s a way you can do so. Create an image of something (or someone) that represent being empowered, strong, assertive, and clear. Take a minute to see what pops up for you. Now embody this! Wear it like a cloak and ground yourself in this image. When your child or spouse wants to “hook you into an argument” or they are ignoring your requests, connect with this empowering image before you respond. You’ll respond from a centered more calm place; then you can use the 3- Step “Super Secret” Formula to ask for what you need! You can take this exercise even further and create an image of this and put it in a place where you’ll see it often as visual reminder of being in your parenting power. Drum roll please….I’m going to share with you my 3- Step “Super Secret” Formula to finally get your kids (and spouse) to listen. Use the assertive triangle to state how you feel and what you need. I teach that technique in the free audio-telesemiar Secrets Your Kids Really Don’t Want You to Know: A Child Art Therapist Tells All (*except for the confidential stuff) and you can access in the box above. Here’s how it might sound. You come in to your teen’s room and it is a mess and you’ve ask them to clean it and they are on Facebook with their friends. DONE! This is no need to lecture, no need to yell, not need to threaten, you have clearly asserted you needs, set reasonable expectations and consequences and given your child a choice. So there is no need to go on and on and lecture them (doing so you’ll lose your parenting authority). This must be done in a neutral tone being in your parenting authority, so your child does not hook you and get you to react! Embody that image you created and operate from this calm- empowered place and you’ll be modeling for your children and spouse how to listen respectfully. Have you tried different ways to communicate, but your child or spouse is still not listening? We can help!